The United States Defence Secretary James Mattis has resigned from his post with effect from 22nd December 2018. 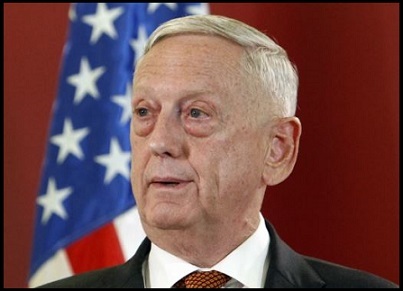 James Mattis resignation came after his disagreement with the US President Donald Trump over the withdrawal of US troops from Syria. James Mattis, however, will be occupying the position till February 28 so as to allow sufficient time for his successor to be nominated. James Mattis’ experience and stability were widely seen as a balance to Donald Trumps’ unpredictable policies. As per the political pundits, his resignation would add to the instability and chaos in the administration of Donald Trump. The US President Donald Trump had a few days ago announced that he will be withdrawing all 2,000 U.S. troops out of Syria, after making a declaration that the Islamic State group has been destroyed. This decision is being by opposed by the Pentagon and other people in the US administration. The U.S. announcement for withdrawal has come at a critical moment in northern Syria, where Turkey has been threatening to launch a new offensive against the Kurds. As per the Kurdish forces, ISIS militants have not been fully defeated and a premature US pullout would cause a resurgence of the Islamic State group destabilizing the entire region.